For the first time in Israel a museum has organized a major exhibition of Jewish feminist art by women who come from a traditional Jewish background. 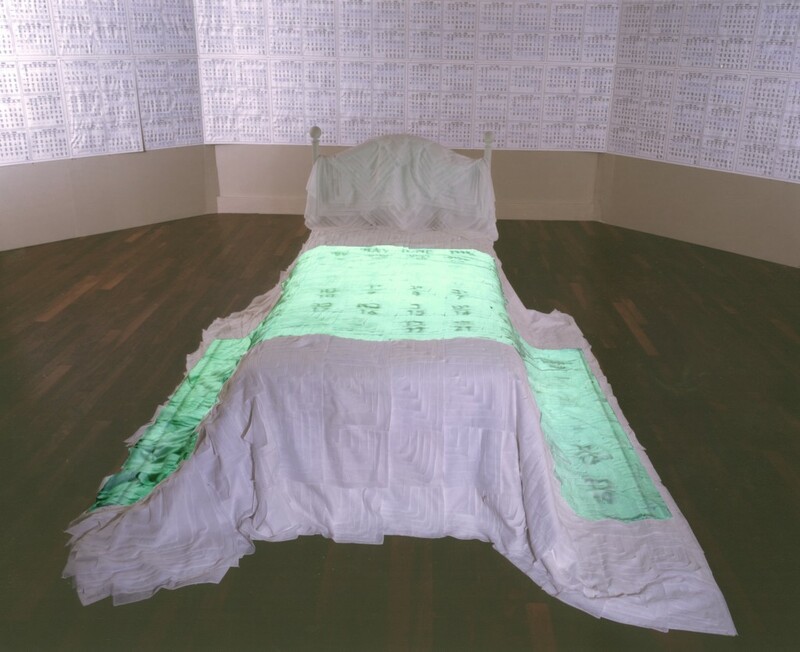 Helène Aylon, My Bridal Chamber, 2001, installation: My Marriage Bed, bed and video projection, 6 min. loop; My Clean Days, installation: bed, black marker on photocopies, paper and gauze. Collection of the artist. Helène Aylon, Mierle Laderman-Ukeles, Carol Hamoy and Doni Silver Simons. Jacqueline Nicholls and Myriam Tangi. 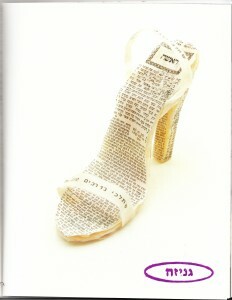 Andi Arnovitz, Raya Brukental, Orit Freilich, Nechama Golan, Chana Goldberg, Hadassah Goldvicht, Hila Karabelniker, Ruth Kestenbaum Ben Dov. Chagit Molgan, Rivka Potchebutzky, Ruth Schreiber, Studio Armadillo (Anat Stein, Hadas Kruk), and Dafna Shalom.